COOPERSTOWN – Corinne Hillman of Cooperstown passed away on Friday February 15, 2019, at Cooperstown Center for Rehabilitation and Nursing at the age of 98. She was born on January 1, 1921, and grew up in New York City. She attended Hunter College and New York University and earned her master’s degree and teaching certificate in elementary education. Corinne married Harry Hillman in January 1941 in New York City. Later they moved to Great Neck on Long Island where they raised their family. She is survived by a daughter, Kathi Hillman McElroy (Hugh) of Port Jefferson and a son-in-law, Harlan D. Alpern, M.D. of Cooperstown. She is also survived by her two grandchildren, Micah (Sarah) Alpern of Mountain View, California, and Rebeka Seelinger (Brian) of Erie, Pennsylvania, as well as her four great grandchildren, Bobby, Emma, Hazel and James. For many years Corinne taught third and fourth grades in the Manhasset Public School in Manhasset on Long Island. Following her retirement from teaching she moved to Cooperstown in 1988. While living in Cooperstown she worked in the education department at the National Baseball Hall of Fame and Museum as a museum guide for children visitors, was on the Board of Glimmerglass Opera, and taught ballroom dancing to Cooperstown Junior High School students. In her honor, the Corinne Hillman Award is given each year at Cotillion to the 8th grade young lady and gentleman who show an aptitude for the new dance steps. Corinne was devoted to her family and had many friends in Cooperstown and across the country. She had a long, active, and successful life and will be missed by her family and friends. She was predeceased by her husband, Harry Hillman, who died March 25, 1976, their daughter, Sandee Hillman Alpern, who died January 10, 2019, and both of her siblings. Burial will be in Mount Hebron Cemetery, Flushing, Queens. For those that wish to honor Corinne’s life and memory, a donation could be made to the Cooperstown Cotillion, c/o Cooperstown Central School, 39 Linden Avenue, Cooperstown, NY 13326. 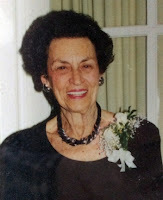 WESTVILLE - Gladys G. Howe, a native of Cooperstown, dedicated educator, and faithful follower of Jesus Christ, passed away peacefully Sunday night, February 10, 2019, at the home of her daughter and son-in-law in Westville. She was 97. Born April 13, 1921, at the Clara Welch Thanksgiving Hospital in Cooperstown, she was a daughter of Edwin N. and Blanche O. (Palmer) Bowen of Lentsville in the Town of Middlefield. Raised on the family farm in Lentsville with her older sister, Josephine and two younger brothers, Donald and George, Gladys first attended a one room schoolhouse a mile from home. She graduated from Cooperstown High School with the Class of 1937 at the age of 16. After spending another year at Cooperstown High School taking post graduate courses, she attended the State University College of Oneonta (now SUNY Oneonta).Upon graduation from college in 1942, she taught primary grades in the Bethlehem Center and Glenmont Elementary Schools in the Bethlehem Central School District in Delmar. In 1961 she was initiated into the Alpha Kappa Chapter (Albany County) of the Delta Kappa Gamma, an honorary women educators society, international. After her retirement in 1977 she transferred her membership to the Rho Chapter in Otsego County. She was also a member of the Otsego County Retired Teachers Association and the New York State Retired Teachers Association. 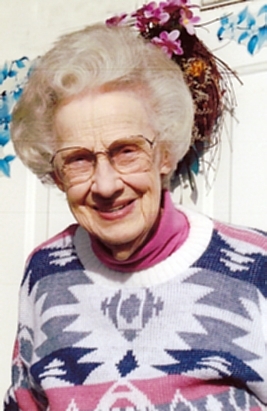 Gladys had been a faithful member of the Cooperstown United Methodist Church since 1981, and served in numerous capacities in the United Methodist Women's group. From 1982 to 1985 she served as a member of the Home Economics Division Committee, Cornell Cooperative Extension in Cooperstown, and from 1981 to 1994 as a regular volunteer in the donor canteen of the Red Cross Bloodmobiles at St. Mary's Parish Hall, Cooperstown. In 1990 Gladys moved to Westville to be closer to her daughter and son-in-law. She enjoyed gardening at her new home and in her leisure time she also enjoyed needlework, reading and Bible study, as well as outings with her Red Hat friends. Survivors include her daughter and son-in-law, Donna-Gene and Hugh L Francis of Westville; her granddaughter Victoria M. Francis of Sussex, New Jersey; and nieces and nephews, including Melanie Collins of Ravena, Brian and Alicia Bowen of Hartwick, Susan and Randy Gelatt of Burlington Flats, Timothy Bowen of Mentor, Ohio, Jennifer and Richard Smith of Schenectady, Jeffrey and Jennifer Bowen of Cooperstown, and Donald E. Bowen, Robert E. Bowen and James E. Bowen, all of the Albany area; and many grand-nieces, grand-nephews and cousins. In addition to her parents, she was predeceased by her sister and brother-in-law, Josephine and Peter Paulson; two brothers and sisters-in-law, Donald E. and Priscilla Bowen and George E. and Katharyn Bowen; her nephews, David E. Paulson and Leonard W. Bowen; and her nieces, Pamela K. Wayman and Debora Liburdi. Family and friends may pay their respects from 2-4 p.m. on Wednesday, February 20, 2019, at the Connell, Dow & Deysenroth Funeral Home, 82 Chestnut Street, Cooperstown. In the Spring, a Funeral Service will be offered at the Cooperstown United Methodist Church with the Rev. Thomas LeBeau, pastor officiating. The Service of Committal and Burial will follow in the Bowen family plot in Lakewood Cemetery, Cooperstown. The family respectfully requests that flowers not be sent. In lieu of flowers, expressions of sympathy in memory of Gladys may be made to Cooperstown United Methodist Church, 66 Chestnut Street, Cooperstown, NY 13326 or Catskill Area Hospice and Palliative Care, 297 River Street Service Road, Oneonta, NY 13820.